In honor of Mother's Day I thought I would take a moment to countdown the 10 greatest TV moms of all time. I was raised by a phenomenal mother (Ms Linda Green) who had a little bit of all of these in here. Moms are there to nurture us and encourage us and with the love and support we grow up to believe that we can accomplish anything. So in honor of Mothers Day, and in honor of my mom, here goes . . .
10. Wanda McCullough from The Bernie Mac Show (played by Kellita Smith). 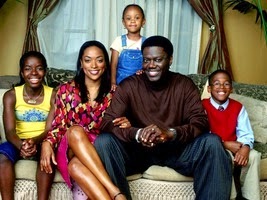 RIP Bernie Mac. I can still hear him screaming "Waaaannnda." Wanda was raising kids that weren't her own, a challenge that many modern moms share. Although these kids were not biologically hers, she was amazing at being there to encourage and support and discipline when needed. Kudos to Kellita Smith for making this stepmom so adorable. 9. Mabel Thomas from What's Happening (played by Mabel King). Mabel Thomas was such a strong mom that when she disciplined Roger, I got scared. She knew how to give you that look that would make you straighten up and act right without saying a word. She was the epitome of the strong black single mom and she did is so well. 8. 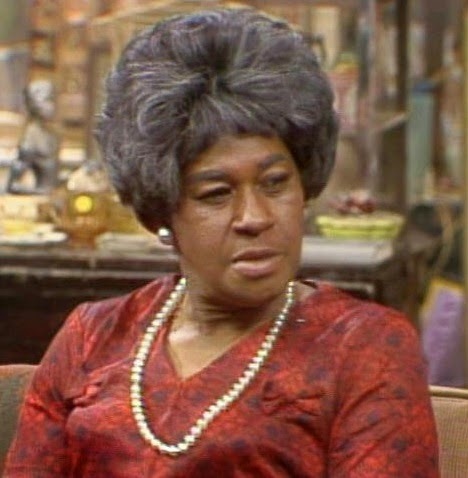 Aunt Esther from Sanford and Son (played by LaWanda Page). Though technically not a mom, Aunt Esther still needed to go on this list. 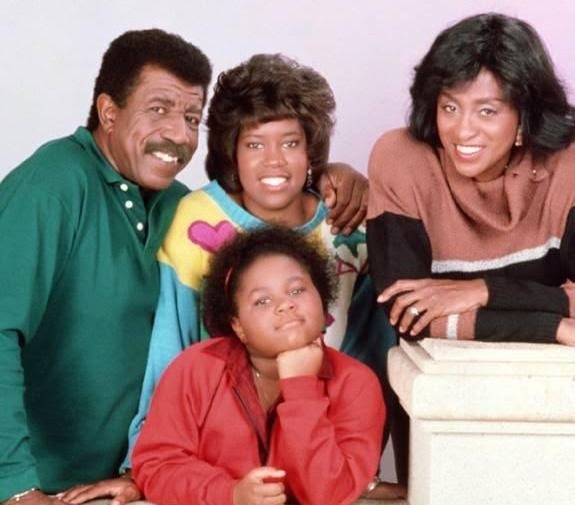 When Lamont lost his mom, Esther seemed to step in and play the role of mom-pro-temp. She was always there to protect Lamont from himself (and sometimes there to protect him from his dad) because he most definitely needed the guidance. 7. Helen Willis from The Jeffersons (played by Roxie Roker). By the way, did you know this TV mom was also the real life mom of rocker Lenny Kravitz. 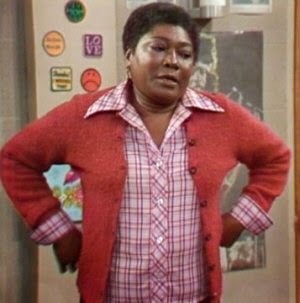 I know people may be wondering why Helen Willis and not the star of the show Weezy Jefferson, but Weezy worked my nerves. It was always Helen that was the smart one, the nurturing one and the fun one. Weezy was okay but for me, Helen was the best mom on the show. 6. Harriet Winslow from Family Matters (played by JoMarie Payton). 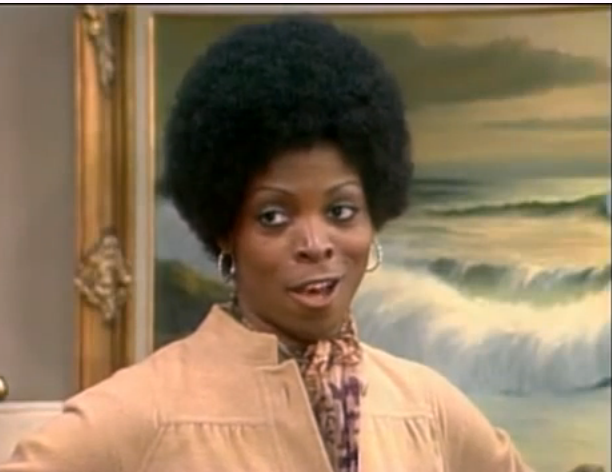 I simply loved Harriet Winslow and the entire Winslow klan. I think I loved Harriet because she was amazing in every role she played. Loving wife, terrific mom, supportive sister and caring daughter-in-law. In case you weren't paying attention she was the hub of the show and was amazing at it. 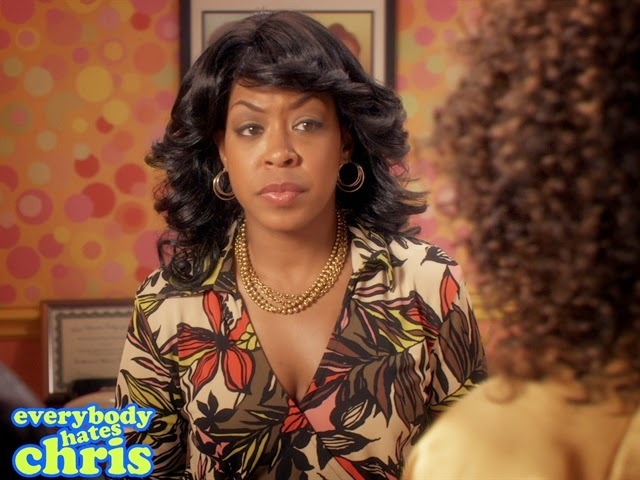 5.Rochelle from Everybody Hates Chris (played by Tichina Arnold). Of all the moms on this list Rochelle is probably the most similar to my mom (although my mom has characteristics of them all). Rochelle loved her kids but she made sure she kept her kids in check. I know the title was Everybody Hates Chris, but rest assured he knew Rochelle loved him by the way she treated him. 4. Mary Jenkins from 227 (played by Marla Gibbs). Remember the theme song - "There's no place like home, with your family around you, you're never alone. When you know that you're loved, you don't need to roam, cause there's no place like home." Mary Jenkins was one of the best moms we ever saw on TV. She always seemed to have the best advice for Brenda, even when Brenda didn't want to listen. She loved her husband and she loved her neighborhood (I even think she kinda cared for Sandra Clark). 3. 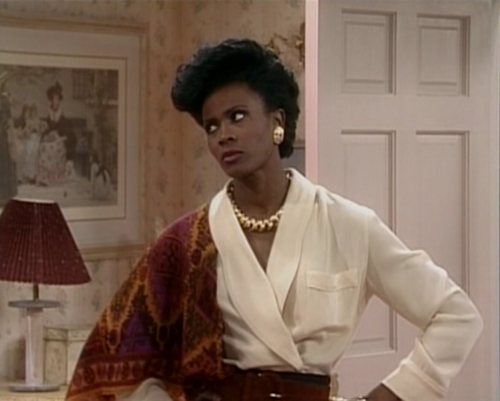 Vivian Banks from The Fresh Prince of Bel Air (played by Janet Hubert). I'm talking about the origiinal Aunt Viv, not that replacement Aunt Viv that just did not cut the mustard compared to smart and sassy, loving yet stern original that we grew to love. It may sound odd but it's my reality, sometimes when Aunt Viv was talking with Will, I felt as if she were talking to me. She made Will feel that in spite of his background, in spite of where he came from, he was just as good as everyone else in Bel Air. She is the reason that I can talk with governors and senators and CEOs and not be intimidated by them. She is reason why I can stand in front of a room and speak with confidence and authority. She was inspiring and awesome. 2. Claire Huxtable from The Cosby Show (played by Phylicia Raschad). Let the record show that I had a extremely difficult task narrowing down the top few slots of this list. But I knew that Claire would have to be in the top two. Beautiful, smart, articulate, strong, educated, successful, brilliant. 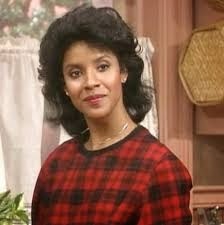 Claire Huxtable was supermom. 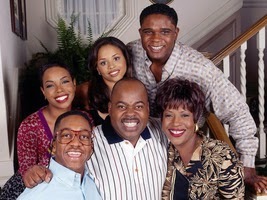 The Huxtable family was adored by all but it was this mom that kept the whole family together. But as much as I love Claire, I must give the number one spot to . . .
1. 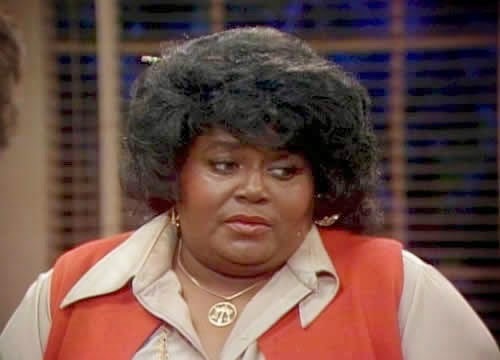 Florida Evans from Good Times (played by Esther Rolle). DAMN! DAMN! DAMN! if Florida wasn't the greatest mom ever. Family first and God fearing, Florida somehow always managed to keep her children (and her husband) principle centered. The Evans family may have struggled paying the rent but you would swear that the family wanted for nothing. Florida always made sure there was food on the table. She always made sure that her husband felt like the man of the house. And every episode I watched, although she never said it, you could feel her implying to her kids, "You is smart, you is kind, and you is important." For her ability to make everything out of nothing, Florida Evans tops my list of greatest TV moms. So there you have it. Hope you like it and I would love your feedback. Who else should have made the list? And is there anyone on the list you feel should have been omitted?